What are the requirements for Hajj and Umrah Visa? One recent passport sized color photograph with a white background. be submitted along with any other documents. documented proof of legal residence status. Passport valid for at least six months from the date of submission of the application form. Complete Umrah visa application form. One recent passport sized color photograph with white background. submitted along with the application. weeks of the date of entry. Unlike Hajj, Umrah can be performed at any time of the year from Rabi-ul-Awal till Eid-ul-Fitr. The most notable Umrah is in the months of Ramadhan when the rewards are equal to Hajj. Weather of Saudi Arabia is relatively hot all year long. The winter season is also warm so you can plan your Umrah trip accordingly. What is the minimum age requirement for a Mahram? years of legal age according to the laws for British Citizens. What are the facilities for disabled pilgrims? those who are physically and financially able are under an obligation for performing Hajj and Umrah. arrangements can be made. Read more here. What is the Ihram and who should wear it? The Ihram is a necessary part of Hajj and Umrah. Ihram for men consists of two pieces of white sheet. shoes which do not cover the ankles. Hear should not be covered and no underwear should be used. conditions of public dress for women. Women’s hand and face should be uncovered in Ihram. The difference in ihram for ladies and gents is further explained here. put on Ihram on a relatively mature child then their Ihram should be similar to the Ihram of an adult. if they do commit a violation, there is neither any penalty on the child nor the parents. What are direct and non-stop flights? the destination without any stopovers. Hajj and Umrah visa are available for which cities? are allowed to travel between these three cities only. There is a new Umrah plus visa expected to start soon, but is not open yet. Can I make a side trip before or after Umrah and Hajj? cities of Pakistan, India, Bangladesh and all other countries. There is possibility of adding halal holidays as well to the trips. Can I travel on Business or Visit Visa to Jeddah? travel mostly to Riyadh, but can also go to Jeddah. Visit and business visa allows passengers to travel all over Saudi Arabia but you cannot perform Hajj and Umrah. Can I perform Hajj or Umrah on Business or Visit visa? No, you must be in possession of a valid Umrah or Hajj visa to be allowed to perform Hajj or Umrah. Can children accompany parents on Hajj and Umrah? many children can go for Hajj or Umrah with their parents. When should I get my flights booked before the date of travel? How to ensure health and safety during my stay? be vigilant because of the crowd. Important numbers include 999 for police, 998 for fire services, 997 for ambulance. Health should be a matter of concern for all pilgrims because of the physically demanding rituals of Hajj and Umrah. Consult your physician or contact our customer representatives for advice on vaccinations etc. What should I drink and eat during my stay? avoid dehydration during the hot summer days. Avoid eating exposed food. Make sure you eat cooked meat and fish. Fruits and vegetables are available in the markets. Can I book a group Hajj or Umrah with you? Yes, you can book your group and customized Hajj and Umrah with us. We provide exclusive services for groups and discounted packages as well. Can I perform Umrah during Hajj season? and Umrah as many number of times you like. BA, Saudi, British Midlands, Etihad, Turkish, Qatar and others. 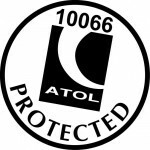 All our flights are ATOL protected as well. Can I book hotel, accommodation and get visa on my own? applied through the same agent. Call us for further details. If you have any other queries then don’t hesitate to contact us for details. 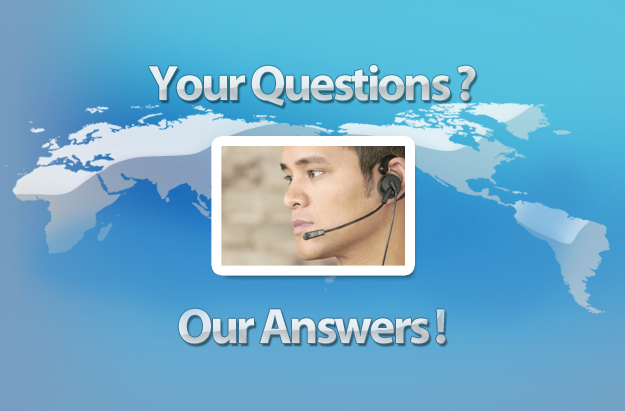 Our standby customer service staff will be able to assist you with all your questions. What kind of accommodation should I book? always make sure you book well in advance. Also please expect a lower standard of hotels by UK standards. A 3 Star in Saudi may not be as good as its counterpart in UK. How do I move around in Makkah and Medina? For your Hajj and Umrah rituals we will book your transportation in Makkah and Medina. If you want to do it yourself, the first leg Jeddah to Makkah or Madinah to Madinah hotel is still compulsory. Can I book Umrah visa only? Yes, but it is getting increasingly difficult. Please see more details on this page. Contact us for most updated scenario. Can I book hotels and transfers and flights myself? Yes, but it has its obvious bad affects. See this post on disadvantages of a DIY approach. Is Meningitis ACW & Y certificate compulsory for umrah visa now? Yes, as of 22nd January 2015. Read more details on this page. What is the latest Zam Zam baggage Allowance? You can only carry 5 liters since hajj 2014. If you want to read more, please check this post. Which Saudi sim should I buy, once I land in KSA? Find some amazing details here. I am a single lady under 45 travelling for umrah. My mahram is in a different country, can I still go? Fortunately, Yes. Please read our step by step guide here. Is my umrah visa guaranteed? We would like to clarify to you that the umrah visa procedures and requirements may change at any time with or without notice by Saudi Government. The amount charged from you is only against our services of applying for your umrah visa. We are unable to guarantee to obtain Umrah visa and consequently, accept no liability whatsoever for not obtaining Umrah visa with or without reasons. We reserve the right to claim any associated costs incurred as a result of not obtaining Umrah visa. In this case, we bear the cost of package, hotel and ticket cancellation fees and refunds the full package cost to the client except for the deposit payment. We are also not liable for any delay, misplace or loss of passport during processing and obtaining Umrah visa from relevant Embassy or Consulate of Saudi Arabia. Disclaimer: All the information above is for guidance purposes only and if used without confirming with relevant authorities, will not incur any liability on us for the decisions resulting thereof.